Even though Southern California hasn't gotten the drought-busting rainy windfall some might have expected from El Nino, federal scientists hold out hope for the next several weeks. WASHINGTON (AP) — Even though Southern California hasn't gotten the drought-busting rainy windfall some might have expected from El Nino, federal scientists hold out hope for the next several weeks. Central and Northern California have gotten more heavy rain, especially in recent weeks. Southern Californiahasn't quite been so soaked. But National Oceanic and Atmospheric Administration scientists say their turn may still yet come. Traditionally Southern California gets its downpours from El Ninos later, in the spring, said NOAA research scientist Martin Hoerling. 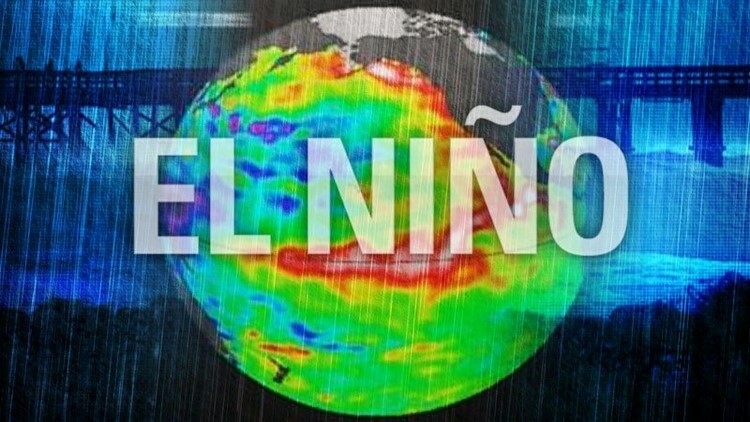 El Nino is the natural warming of parts of the equatorial Pacific that changes weather worldwide, including often bringing more rain to California, where it is needed after four years of drought. In the Southern California spring during an El Nino, "the odds of being very wet double," Hoerling said in a NOAA webinar. So the absence of lots of rain in the region "shouldn't be overly alarming." There's still six to eight more weeks, Hoerling said. "We're still holding out hope" for late snow to add to melting and diminished snow packs that are crucial for water storage, added NOAA scientist Sarah Kapnick. But some of the numbers aren't too hopeful. Water managers judge a season by how much is water available from snowpack on April 1, and after a drought like California has been through, it is best to be more than 100 percent of what is needed to get the region through the summer and fall. Northern California has 86 percent. Statewide, the snowpack average is 79 percent. Making matters worse, she said, record warmth has caused snow to melt early, hurting water storage even more. And statewide reservoirs are at 72 percent of average. Still, Southern California gets much of its water from the north, where some mountain ranges are full of snow and some reservoirs are well above normal, Hoerling said. But they both said this strong El Nino hasn't quite measured up to past big ones when it comes to providing rain and snow. And the precipitation is needed more than ever because California suffered through a record, four-year drought, they said. Each El Nino is different and "while it shifts the odds (in favor of lots of rain) it doesn't guarantee an outcome," Hoerling said. Some forecasts are calling for El Nino to end in coming months with the possibility of a flip side, a La Nina, in the fall. Historically, that has meant snow in California decreases and it increases further north, Kapnick said.